Honor Reveals Their Honor 8X and Deems It "2018's Best Value Smartphone"
Honor wowed us with the power, quality, and value of their phones. The Honor View10 is a powerful device at an accessible price. (Read the review.) 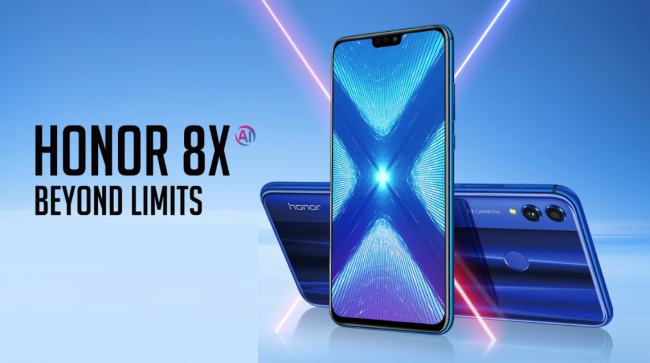 Now, the Honor 8X is here to make powerful larger-screen devices accessible to all. Its huge screen and powerful specs make this an accessible phone for those who don’t want to compromise. Displays are at the very foundation of the smartphone user experience and Honor is focused on going beyond limits. 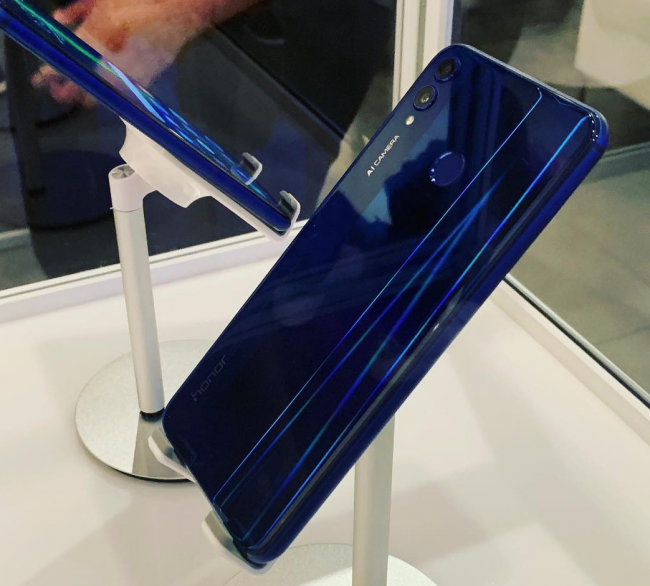 Honor embraces the same minimalist philosophy and a scientific approach with the design of Honor 8X, which combines advanced technologies into an aesthetic form, to strike the right balance between functionality and beauty. The enduring design of Honor 8X concentrates on the essential aspects — free from non-essentials. It brings simplicity back to the most complicated of technologies. When designing the phone, Honor kept in mind the fact that consumers want a large screen but don’t want a huge, bulky phone. That’s why the 91% screen-to-body ratio is so important. (That can be compared to the iPhone X which has an 82.9% screen-to-body ratio and the Samsung Galaxy S9 which has an 83.1% screen-to-body ratio. 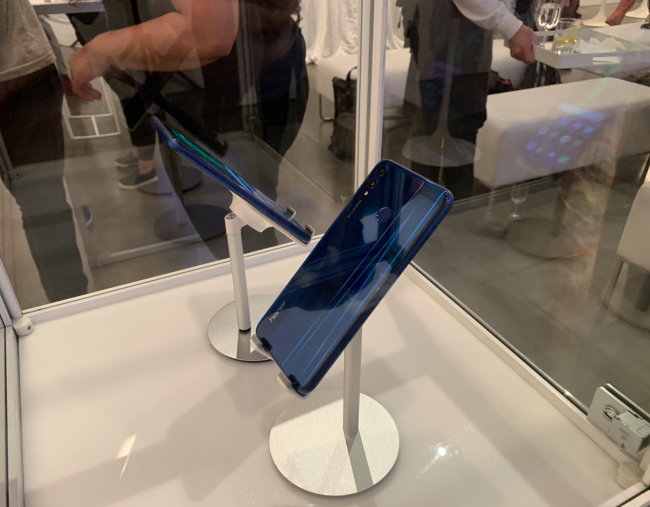 Much of this is made possible on the Honor 8X thanks to the use of advanced chip-on-film (COF) technology and a patented antenna design that narrows the width of the bottom border to just 4.25mm. There is, however, more to see when it comes to the display. The 6.5” Notch Full-View Display 2.0, and it’s 19.5:9 ratio fit into a body that is just 5.5” long. The display has a resolution of 2340 X 1080 (397 PPI) and 85% wide color gamut. 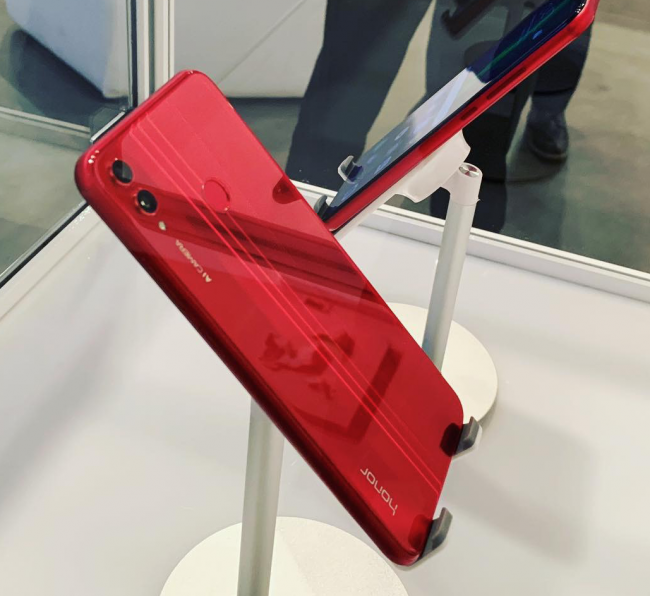 The result is a phone that is sleek and compact (just 7.8mm thick) but has a bright, vivid screen and a metal middle fame that gives it a substantial feel. Other specifications include a 20mp rear camera with a 2MP depth sensor, a 16MP selfie camera, 6GB RAM and a 3,750mAh battery. It has a dual-SIM, Huawei’s EMUI 8.2, and Android 8.1 Oreo. In other words, this is a phone targetted to budget-conscience consumers, but it is packed with technology. Honor also wanted to address the growing concern about the blue light exposure of screens and the potential impact on our vision. 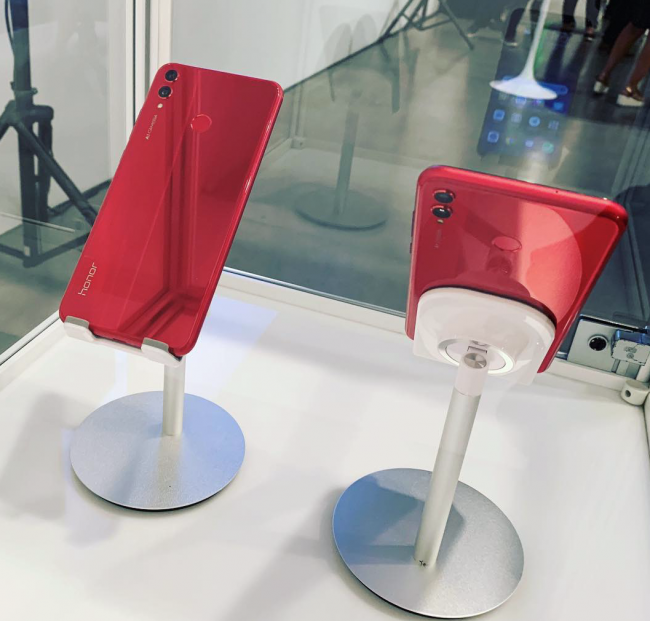 That is why they adopted a “new generation of Eye Comfort mode certified by TüV Rheinland that can reduce the blue light radiation emitted by the screen and prevent eye fatigue.” Also, the Honor 8X also sunlight and night display technology. This lets the screen adjust to various conditions for easier, and healthier, viewing. Pricing has not yet been locked down, and the Honor website is currently running a “Guess the price of the Honor 8X” contest. Rumors put it in the $200 range when it is released. We will have much more on the Honor 8X in the coming weeks but, for now, you can click here to learn more.